Home Health Issues Post Traumatic Stress Disorder (PTSD). 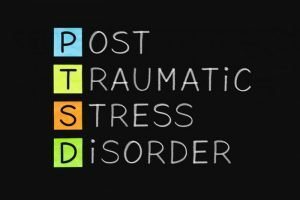 W ith every going on in the world today, from natural disasters to man made disasters, I thought I would give you guys a little info on what is known as post traumatic stress disorder (PTSD). Most people think, oh yea, veterans have that after they come back from war. Others might think, oh right, people who have been assaulted in some way have that too. BUT it’s not just limited to those things.. it can be caused my so much more. And as of today, I am extremely worried about the survivors of hurricane Harvey, hurricane Irma, the earthquakes in Mexico, the hurricanes in Puerto Rico, and the Shooting in Las Vegas. Not only are the survivors of those events at risk of PTSD, but the family members who lost loved ones in those events are as well. Often times we only think of the people involved in the events as being at risk. But its important to know that families who lose loved ones can also suffer from PTSD caused by the sudden traumatic nature of their loss. There has been tons of research on this. There was research after hurricane Katrina, after the Tsunami in Thailand, Mass Shootings, Earthquakes and more. Not only is surviving a risk factor but so is having property damage. A study showed that those who had more property damage had higher rates of PTSD than those who suffered minimal to no property damage. I’d like to tell you the things you should all know about PTSD, like: risk factors, the symptoms and what you can do if you or anyone you know has been diagnosed or maybe should be. What are the risk factors? Post Traumatic. Being female already sets you up for higher risk. Why? Is it because we’re more emotional? Or because our brains are wired differently than a man’s? Maybe… bottom line is, if you’re female and you’ve experienced a traumatic event you are at risk of having PTSD. Your medical history and your families’ is important! History of any mental illness either in yourself or your family not just PTSD, puts you at risk. For example, if you have a family member with bipolar disorder, or depression, or anxiety. You have a higher risk of having a psychiatric disorder yourself, PTSD is one of them. If anyone if your family attempted or succeeded in committing suicide, you are at risk and so are other family members. Being single also puts you at risk. Why? Some research points the important of having social and emotional support as a buffer after experiencing trauma. Low income, living in poverty, having many stressors in your life. All of these things increase your risk of PTSD. So what exactly are the symptoms of PTSD ..How is someone diagnosed? You also need to be able to identify a traumatic event. Without the traumatic event, you cannot be diagnosed. re-living the event is an essential part of this diagnosis.. you can lose time, forget where you are, and become completely immersed in the moment and believing it is happening at that exact moment in time. When I was in highschool we had a professor who had gone to war. Apparently someone thought it would be funny to slam their books on the floor really loudly, and the professor dropped to the floor and covered his head. This is arousal. You are more aware of your surroundings, any noise will set you off, a door slam, fire crackers, smells, even words. The arousal can induce intrusion symptoms. You avoid areas that remind you of the event. Even other events that remind you of your previous experience. Anything similar to the initial trauma, you will avoid. For example: if you survived the shooting in Las Vegas, you may want to avoid other concerts in open areas, or areas with high rises around it, maybe even Las Vegas all together. Symptoms of depression or diagnosis with depression is very common. These include, loss of interest (enhedonia) in things you used to love doing, you don’t want to talk to the people you loved, you don’t feel like seeing your friends, you may feel guilty, shame or wothrlessness. Something called Survivors guilt is common as well. ‘Why did I survive? I don’t deserve it.’ ‘Why coulnd’t I save that person?’ ‘Why me? why am I here when everyone else died?’. These are very powerful feelings. How long can these symptoms last? Does anything make them worse? With time symptoms can get better. They can even go away entirely. But not always. Sometimes they last years and it becomes a chronic condition that you need chronic treatment for. Certain things, moments, seasons, anniversary of the event will spark your symptoms to get significantly worse. Anniversaries are a huge set off for many people who have experienced trauma, whether it’s sexual, loss of a loved one, shooting, natural disaster etc. I once heard a survivor of school shooting say on TV that she is extra nice to herself the month before the anniversary of the shooting she survived because she knows her body will just collapse the month the shooting happened. And I think its very important to recognize that this happens so you can do things to prepare in the event that your body does react. Some studies show that most symptoms go away, such as intrusion and arousal, but the avoidance ones may increase in time. It all depends. Everyone is different, not everyone will react the same. What can you do if you are a survivor of some of the things I mentioned here? Best thing you can do, is first, realize that you are at risk, and be mindful of that. Then, talk to someone about it. A doctor, a friend, family. Look for support groups of people who have been through something similar, who you can relate to and can help you. Go to therapy. Even mentally “healthy” people should do therapy. This is not something to be ashamed of! Why do I put healthy in quotes? I don’t think anyone is truly mentally healthy. They just function adequately in society, so its not called a disease or illness. If that is not working, then speak to your psychiatrist, and maybe they will recommend medications to help you. Is there anything you yourself can do? Identify your triggers. This wont always be easy. Sometimes something so random will trigger you and its not even related to what happened to you. So understand that its okay not to know them all. Not making the connection does not mean you have somehow failed. Decrease your stress levels in your daily life. Set goals for yourself; attainable, short term ones. Being able to check off items on your list will make you feel like you have succeeded in doing what you set out to do and this feeling will reduce your stress. Engage in physical activity. It helps reduce stress, releases endorphins, which make you feel happy and are a great way to release any anxieties from the day. Some people benefit from meditation and yoga… others have been set off during those practices. Find out what works for you and do it often. Above all, don’t judge yourself or be hard on yourself. Sometimes you know you’re overreacting but your body overreacts anyway. Don’t feel “stupid” or “dramatic”. Your mind and body went through a horrible life-changing event. It’s alright. I can’t say that time heals everything because its easy to say, but difficult to live with. Time moves slowly. Sometimes too slow. But time can help. This is why having a good support system is so important. Relapses are normal. Many people are entirely okay and suddenly they breakdown. Its okay! And you’re not alone. In fact, 7.7million people in the US struggle with PTSD at some point in their lives. What you should know if you’re a parent! Children will behave differently. If they are younger than 6 or 7, they may “forget” how to speak, or how to walk. They may begin wet the bed even thought they were already potty trained. These things are called regression. They are regressing into a “younger age” state of mind as a protective mechanism. Older kids and into High-School will be different. They will be angry, more emotional, more aggressive. They might even want revenge. Older High-Schoolers and young adults will have show the 4 categories of PTSD symptoms. I wanted to talk about this because the world is doing some weird things. Both natural and human. It is the time to know about this and bring awareness to this issue. This is the month of Mental Health Awareness after all, and mental health day was October 10th. If you guys have any questions, or think you are experiencing these things, or know someone who is. Please, don’t be afraid to reach out if you don’t know what to do. Feeling hopeless in these situations is normal. If you are unsure of what to do, write to me and I can direct you to places and people you can reach out to. My thoughts and prayers are with the victims and survivors of the disasters I mentioned here, and all others. And to those who are struggling with PTSD.